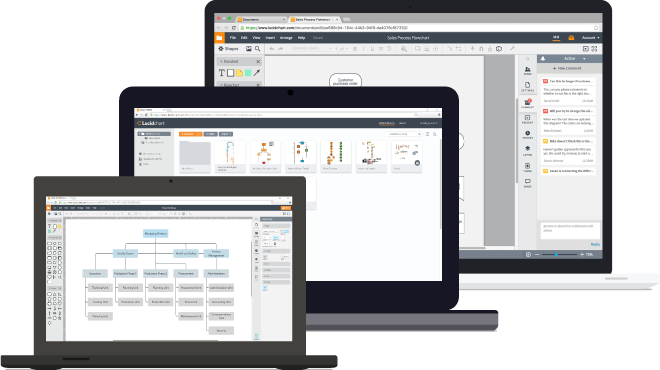 Lucidchart offers powerful functionality without Visio’s steep learning curve, simplifying the creation of even the most complex diagrams. Since the platform is in the cloud, you can share your diagrams with colleagues to collaborate in real time, regardless of location. Making the switch to Lucidchart is seamless, thanks to our Visio import/export. 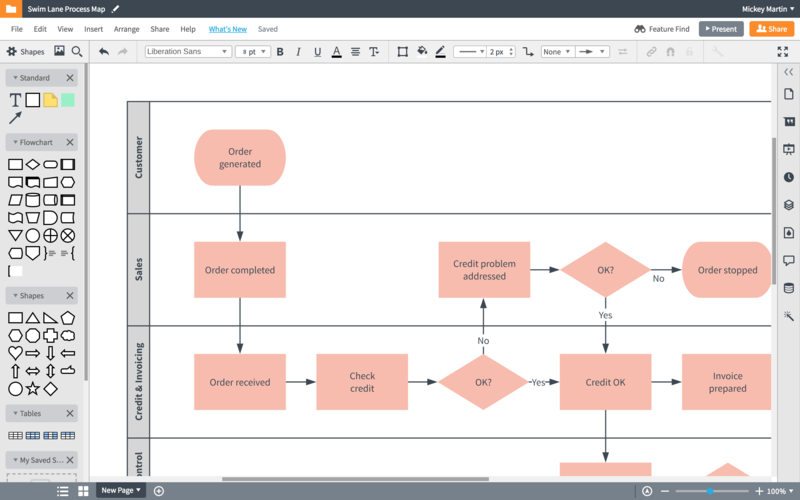 Lucidchart is a powerful Visio alternative, allowing anyone at your organization to quickly and easily build both simple and complex diagrams online with the platform’s intuitive drag-and-drop interface. In addition, admins can easily manage provisioning, billing, and authentication for their entire organization. When you diagram in Lucidchart, you spend more time innovating and less time creating. Transition to Lucidchart without missing a beat—import all your Visio documents and continue diagramming where you left off. Still have employees at your org using Visio? 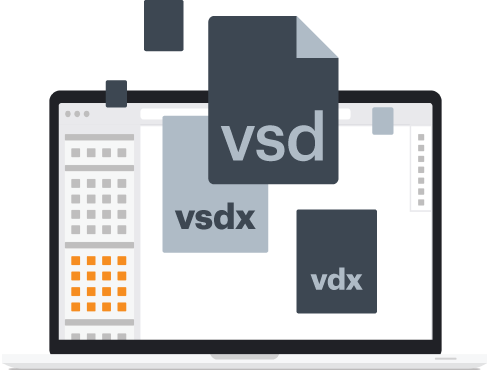 Export your Lucidchart diagrams as Visio files to share with them until you can get your entire company to make the switch. Collaborate in real time with your entire team regardless of physical location. Even if you have remote workers or your employees are scattered across the globe, Lucidchart keeps everyone on the same page so you can work together faster. Lucidchart even provides view-only users for your entire organization so everyone can access key documentation. Lucidchart is completely web based, which means no installations, downloads, or updates and no worrying about compatibility. Work on any browser from any device at any time. You’ll get all the same functionality as a desktop tool, but it’s accessible from anywhere. Better yet, you can use Lucidchart where you already work, thanks to our integrations with popular platforms such as G Suite, Microsoft Office, Salesforce, and Atlassian. The collaboration feature saves our company a great deal of time. 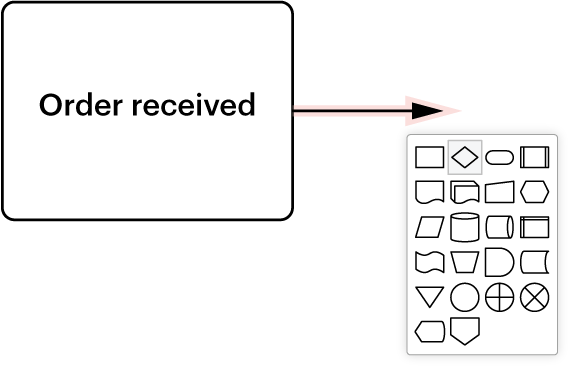 With Visio, we were constantly emailing diagrams back and forth—it’s easy to get lost in that sea of emails. Now we are more efficient in time and communication.